Mid-week Crisis: In which I get my 8th pair of converses. I’m not obsessed. 1. Tonight at dinner we somehow got on the subject of mercury in fish. Evil Scientist brother casually interrupted the conversation and said, “Hey, mercury’s atomic number is 80.” We were all like heh heh…I hope you’re joking… he then got out the table of elements (because all homeschoolers keep the periodic table handy, obviously…) and showed us that he was correct. How am I related to these people? 2. Months ago my aunt was going to get me a pair of Union Jack converses, but that fell through and I forgot about them. 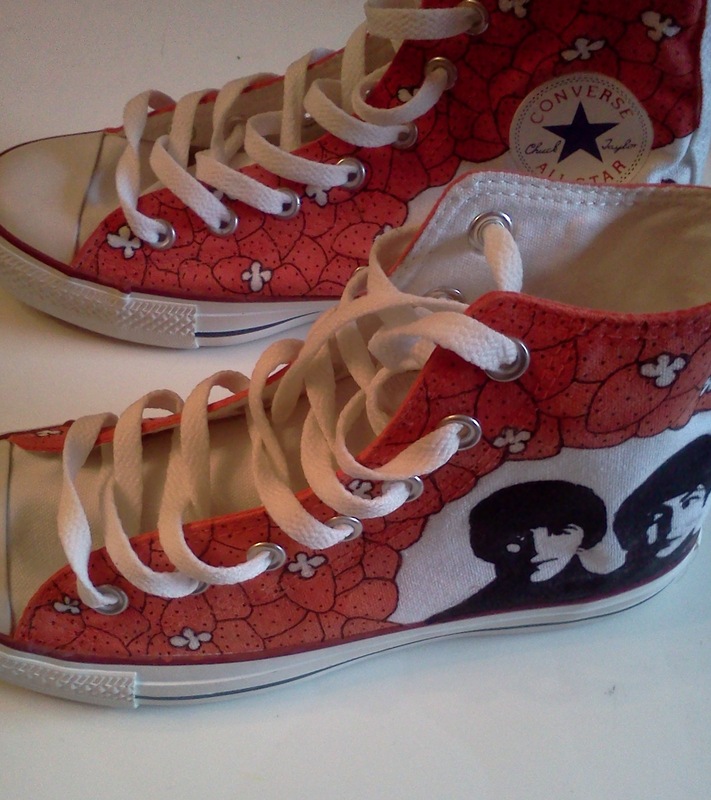 Then for my birthday she showed me a picture of two different pairs of Beatles converses I could choose from. I picked one out and, again, forgot about them. I think I have memory issues. She came over today and BOOM look what I have. 3. 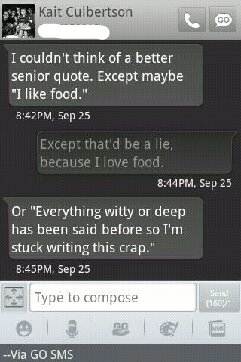 Kait and I were brainstorming ideas for my senior quote. I think we finally decided on “Vote for Pedro,” but these were some other options. 4. 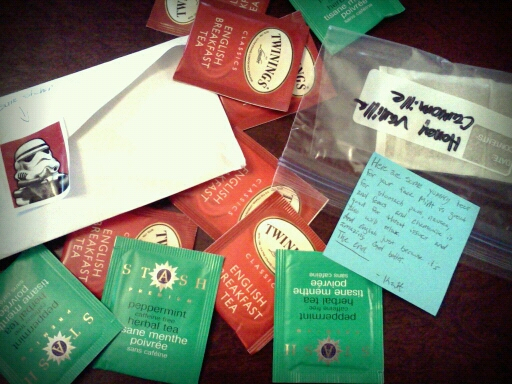 Speaking of Kait, she mailed me 12 bags of tea when I was sick last week. She is quite lovely, if I may say so. 5. I started a Heath Ledger board on my pinterest thinking it would help bring me closure. Nope. Only makes things worse. And the fact that I have a picture of him as my background on my laptop doesn’t help either. 6. I’m starting college essays. The prompt for one of the colleges I’m applying to is to either write about a topic important to me (food) or a journey (having a blog and teaching myself how to cook…so I could make food). I’m going with option number two. I’ll keep you guys updated. 7. I’m not sure if I’ve told you all about my siblings, so drumroll please. I’m the oldest. Muahhahahaha. I have three brothers – Future Chef, Evil Scientist, and Corrupted Brother – and two sisters. One is Sister Celiac and I’ve decided to name my youngest sister Brute. She’s surrounded by brothers and she is one tough cookie, to say the least. She can pick up Sister Celiac who is 7 years older than she is. Yeah, scary. 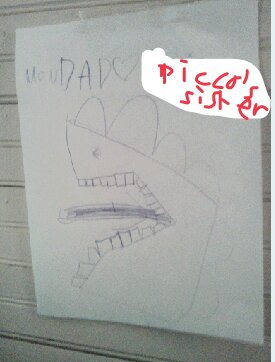 This is a picture that she drew and taped to the wall. 8. Is anyone else completely excited to see Looper in two days? Although I’m a bit hesitant to see Joseph Gordon-Levitt look like Bruce Willis. I mean, I’m sure he’s still attractive and stuff…but…I’ll have to actually pay attention to the storyline instead of just staring at him. I’m not sure how I’m going to do this. 9. I dropped fifty bucks on a Fringe hoodie. So worth it? I think yes. Being the oldest of 6 (soon to be 7), I have a lot of odd things said to me on a daily basis, especially from my brothers. I obviously feel the need to tell you about them, so prepare to be amused/weirded out. Yes, there was a disgusting worm in my peach. Worm. In something I was about to devour. Saying I was traumatized is an understatement. I still feel like I have bugs crawling on me. *Side note, “Holy Astringent Plum-like Fruit, Batman” was actually a phrase uttered by Robin in the old Batman tv show. The writers on that show had serious issues. Evil scientist brother explained to me the difference between cupcakes and muffins. “Cupcakes are just cake with frosting on top, while muffins are delicious pastries filled with fruit or chocolate.” Thanks for clearing that up. I could continue, but this post is getting long. 1 (8 ounce) package of noodles. The original recipe called for egg noodles, but the only noodles we have in this house are spaghetti and penne. Obviously, I used penne. 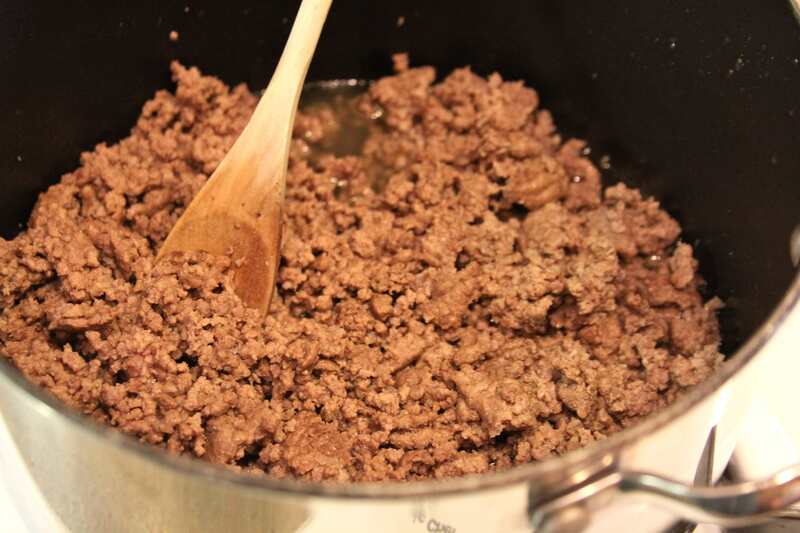 Brown ground beef in a large pot. I really hate cooking with meat because I’m always scared it’s not going to be cooked all the way and I’m going to poison my family. Valid fear…right? Drain fat off and season meat with onion powder, salt, and pepper. After browning, add cream of chicken soup; mix well. 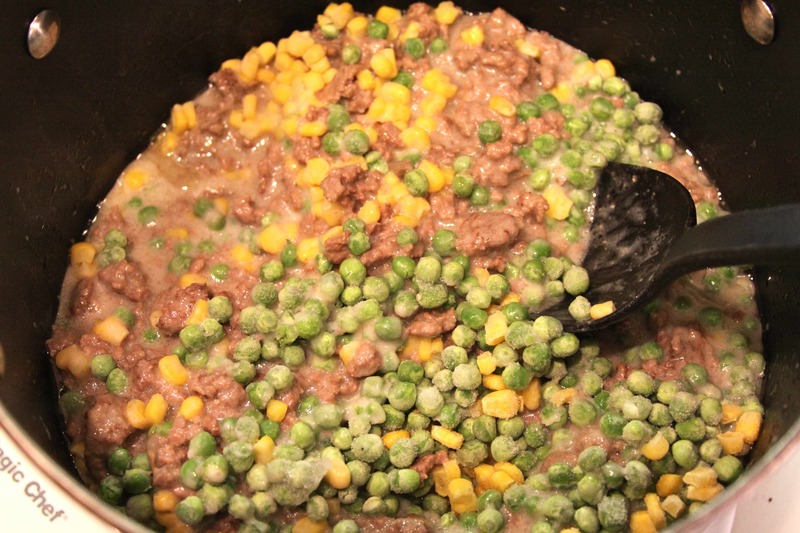 Add one soup can full of milk and mix well. Simmer on low 25 minutes. 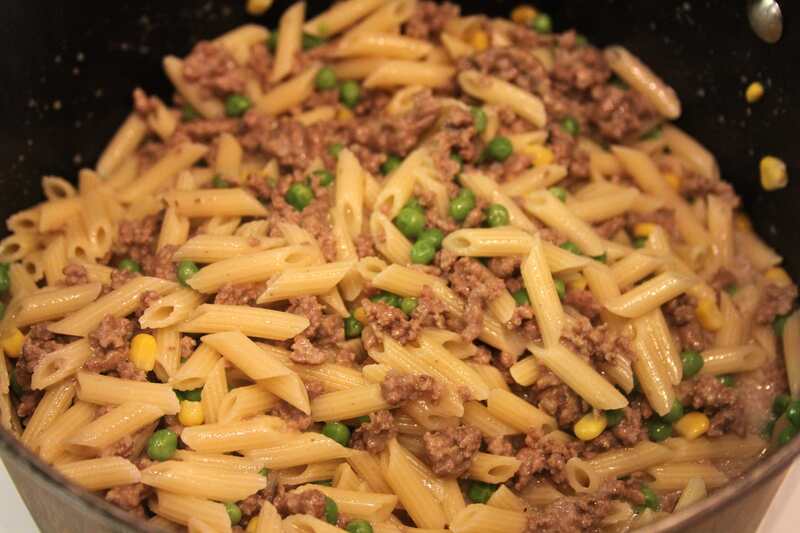 Mix in cooked and drained noodles and transfer this to a baking dish. 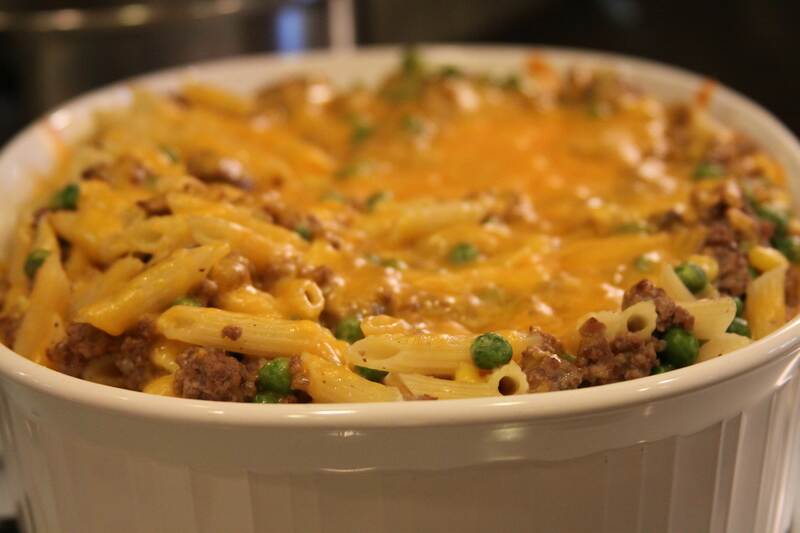 Bake the casserole covered in 325° oven for 25 to 30 minutes, and uncover for the last 10 minutes. Mid-week Crisis: A German rap song a day keeps the doctor away. Except I have a horrible cold, so that’s a lie. I woke up the other day with an awful cold. Like a no-voice-head-hurts-I-want-to-go-punch-a-wall cold. Apparently I’m aggressive when I get sick? The first few days I sounded like Chewbacca, if that gives you a nice mental picture. So to help with my sore throat I’ve been downing cough drops like they’re going out of style. 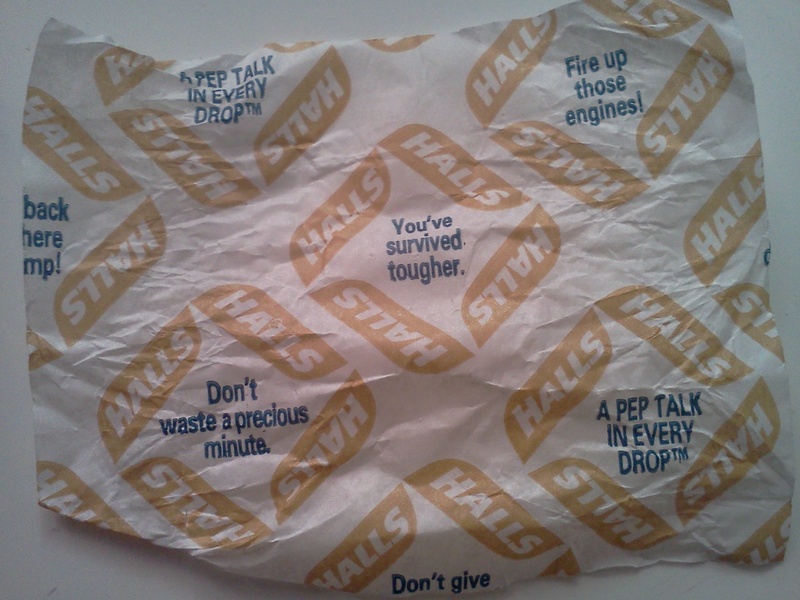 Apparently Halls thinks I have low self-esteem because there are motivational speeches on the wrappers. My friend Marie and I make CDs for each other a lot and it’s nice to see that her taste in music is just as weird as mine. A few CDs back she gave me this song. Needless to say I love that guy and have memorized all the lyrics to that song. Yes, I know the words to a German rap song. Just when we all thought I couldn’t get any cooler… I had no idea what he was saying until about 10 seconds ago when I looked up the English lyrics. Don’t. It’s basically about him burning down his house and killing his goldfish. Just watch the video. 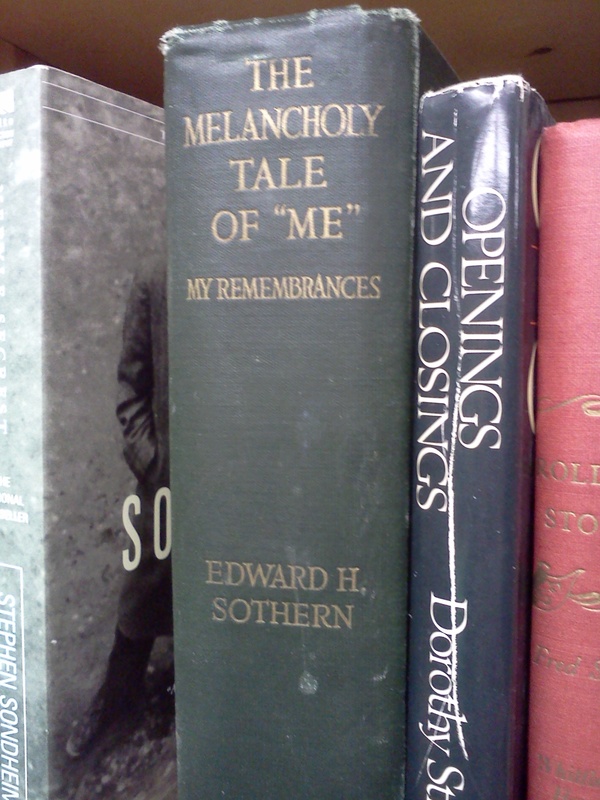 I went to a bookstore the other day just to find that someone had stolen the name of my autobiography. Jerk. 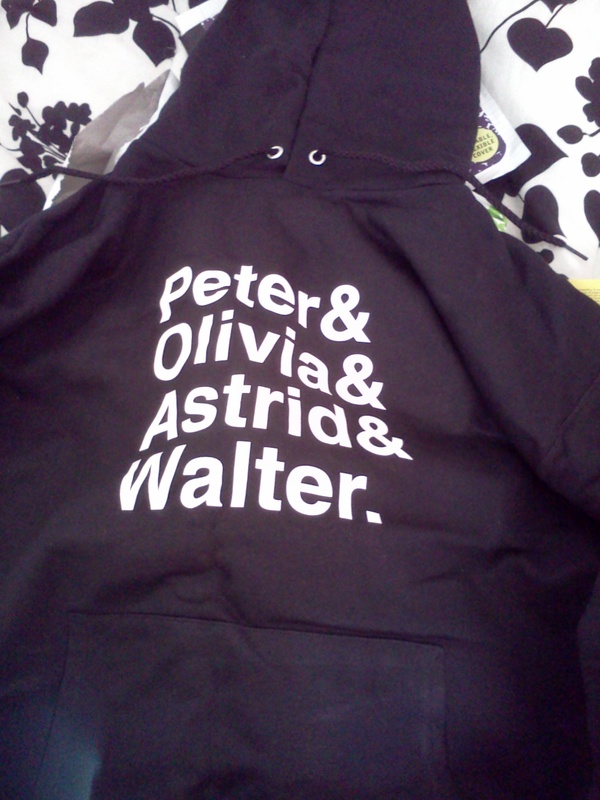 I’m getting Fringe season 2 disk 4 from Netflix on Thursday, and I just bought a Fringe hoodie. I have a problem and someone needs to intervene. Now. 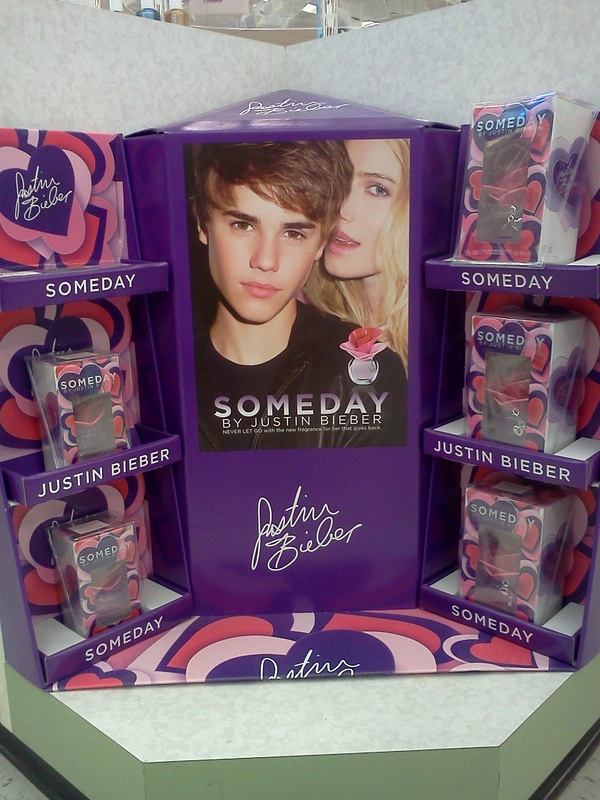 Three words: Justin. Bieber. Perfume. Between that and his nail polish line I’m having a hard time trying to believe he really is a guy. I walked into my room the other day to find Corrupted Brother sitting on my beanbag, staring off into space, and singing a song about how the freckle on his stomach won’t go away. The refrain went “Freckle me, freckle me, freckle me, why am I not in the superhero squad? Go away, freckle. Oh wait, you can’t.” And then it more or less repeated. I don’t understand that boy. Coffee and Marie’s creepy phone and hand. Bread company is the best. I think I could live off of their pumpkin muffies, you know, in case you were wondering. Look how cool these are. 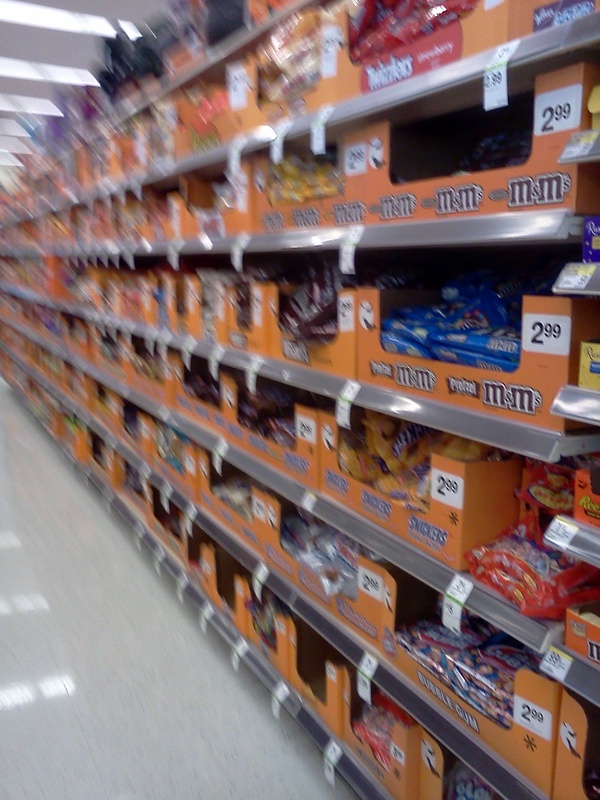 I was going to buy one but then…ummm…I really didn’t care. But it’s a cool idea. 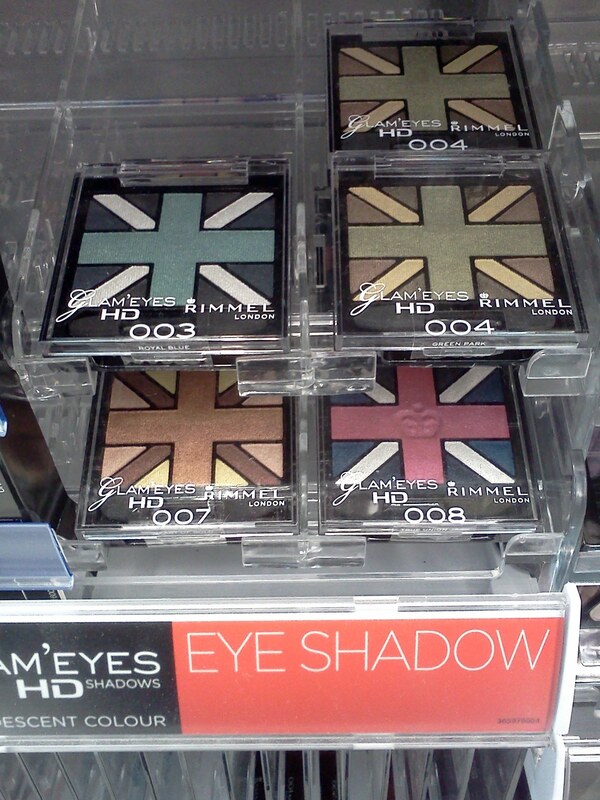 Kudos, creative British person. The reason I’m not dating anyone is because (among other reasons) no man will ever compete with my Robin Hood. 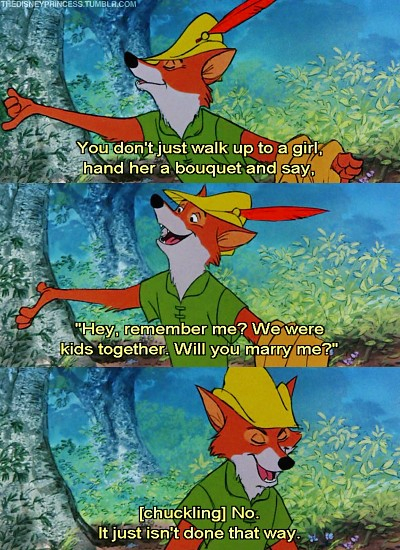 Yes, the animated 1973 Disney movie Robin Hood where he’s a fox. Have you seen that movie? How can every little girl (and 17 year old girl…) not completely love him? Unfortunately, he has set the bar too high and I’m not about to lower my standards, so I’m going to die alone with my cats, whistling that annoying song at the beginning of the movie. Word of the day: meshugana. Noun. Yiddish. Used in a sentence: Having a cold that is making me sound like a cross between Darth Vader and Chewbacca and having to live in a world where 18 year old guys have successful perfume lines is gonna drive me meshugana. There’s no amusing introduction to this post. I’m getting straight to the point. 1. No naps. And I don’t mean I wish I could go back in time and take all the naps I refused to take when I was little. I mean more along the lines of why do little kids get naps and we don’t? It’s like “Golly gee am I tired from playing with all those blocks for 20 minutes straight. And don’t even get me started about how exhausted I am from all the hand-eye coordination I had to do when I was finger painting.” So toddlers get naps after doing absolutely nothing and we’re expected to go, “Well, I don’t know about you, but all that trigonometry and AP French and filling out college applications has sure rejuvenated me! Oh and luckily I love every single person in my class, so I get to have fun classes AND be around fun people! Who needs naps?” Um, seniors need naps. We also need to have a pass that allows us to punch one person in the face every day and not get in trouble. Figuratively punch? And maybe literally too. Oh and speaking of not taking naps, when I was in Kindergarden at “real school” (not homeschool), I didn’t take one nap. Ever. Why? Because I had convinced myself that if all the kids fell asleep, the teachers would set the building on fire and we’d all die. Yeah, those were the things 5 year old me thought about. Dear everyone in my Kindergarden class, I deprived myself from sleep just to save your life. You’re welcome. 2. Speaking of college applications, well, college applications. Especially the essay part. “Write about a topic of your choice.” Well, that’s not vague. 3. Senioritis. The worst part is I’ve only been doing school for a week. This is going to be a long year. 4. Being homeschooled as a senior. Because now the “Wait, are you gonna like homeschool for college and stuff?” questions are in full force. NO. NO ONE DOES. Now stop asking. 5. Having this be my daily schedule: Wake up, get ready, eat breakfast, do 1 1/2-2 hours of anatomy, 1 hour of history, eat lunch, 1 1/2 hours of advanced math, 1 hour of logic, 1 hour of an introduction to college writing course, 1 hour of Latin, 45 minutes of piano, dinner, take a breather, read, fall asleep/pass out. Rinse and repeat every day. I like to shake things up a bit sometimes, just to keep it interesting. For example, I volunteer at a daycare Monday nights and last week a 4 year old spit in my face. Then yesterday my little brother decided that potty doesn’t always need to go IN the potty, and I got to scrub the bathroom floor with Mr. Clean within an inch of its life. Ugh. 6. Having my best friends be either at college far away, or at college close by but super busy with work, or close by and doing an online college but being super busy with life and thinking about rum cake 24/7. You know who you are. Or they’re online friends that I’ve never actually met and they live in Florida or Arizona. So I’m just sitting here like, Crap. This is kinda lonely. 7. Realizing that since I’m homeschooled and I don’t have a “set” reading list, I really haven’t read most of the books other highschoolers have read. So I’m kind of frantically reading right now. I’m currently working on Cancer Ward, Woman in White, and Lord of the Flies. Only problem with reading so many books at the same time is sometimes I’m confusing the plots and characters. No really, yesterday I was replacing Pavel with Piggy when I was reading Cancer Ward. I need a nap. See #1. 8. Not having time to cook and blog. I know once I get in the swing of things with school my life will settle down and I’ll have more free time. At the moment I’m just too unorganized to think about cooking AND THEN writing a blog post that won’t bore people to tears. 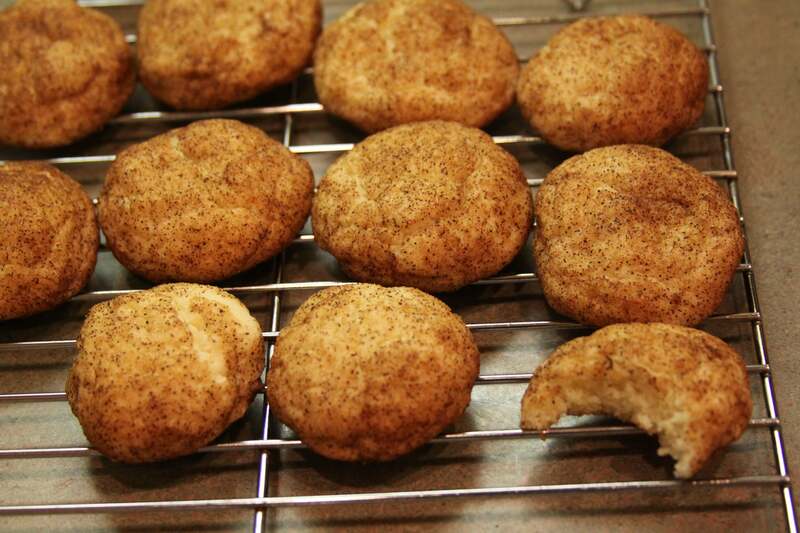 But tonight I forced myself to make snickerdoodles. Mainly because they’re my favorite cookie ever (next to white chocolate macadamia nut cookies) and I needed to unwind a bit. This recipe is so good too. 9. Having to decide on a major. I know I don’t need to pick one out right away, and I can always switch, but I’d like to commit to one. Do I go straight to nursing school, or do I major in Philosophy or Classics and then take a 1 year nursing course? Decisions, decisions. Yay? 10. Growing up. Don’t get me wrong, growing up is awesome. (I now don’t feel guilty about watching Y-7 tv shows like I did when I was little. I remember being 6 years old and watching Pokemon at my friend’s house and thinking I was such a rebel for watching it and not being 7 yet. I was the kind of kid your parents didn’t want you hanging around with. I can’t be tamed.) But growing up is not nearly as magical as it was when I was in 2nd grade and all highschool seniors seemed like gods. Really tall, gorgeous, popular gods. Funny how your perception of things as a kid is totally different than how things really are, huh? Now the “real world” is in the back of my mind. Where do I want to move after college? Where do I want to work? What about having kids? Why are all my celebrity future husbands so much older than me and and why are most of them are married? STUPID CHRISTIAN BALE. I hate you. Aside from all the things I hate, I know this last year of highschool will be awesome. I really love all the classes I’m taking, I’m keeping in touch with all my friends, and I’m eating snickerdoodles. Um, delicious. And yes, I kind of got bored while I was waiting for the last batch to be done. I got up to stacking 7 cookies on top of each other before the tower fell. You wish we were friends in real life. 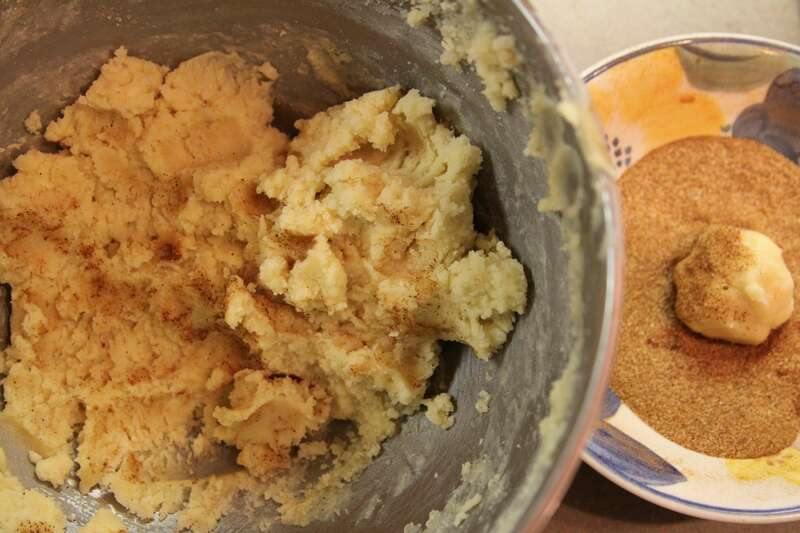 Mix butter, 1 1/2 cups sugar, and eggs thoroughly in a large bowl. 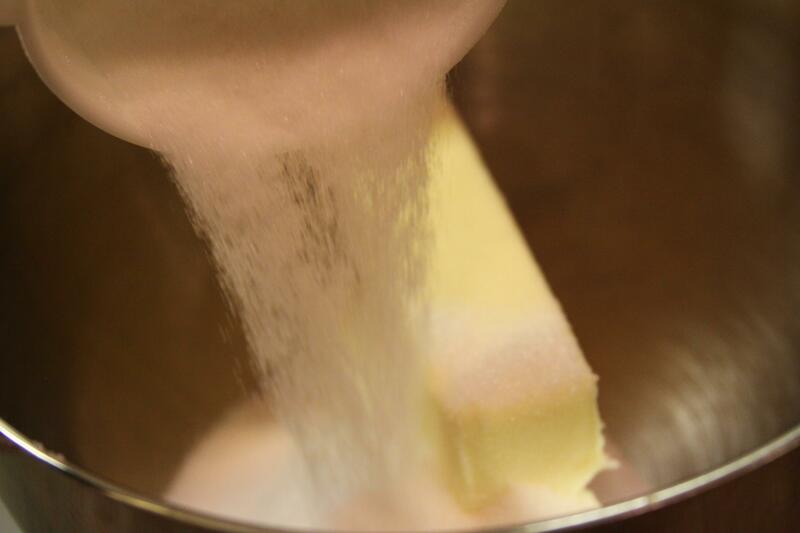 Combine flour, cream of tartar, baking soda, and salt in a separate bowl. Chill dough and an ungreased cookie sheet for about 10-15 minutes in the fridge. Yes, stick a cookie sheet in the fridge. Cooking is so weird sometimes. 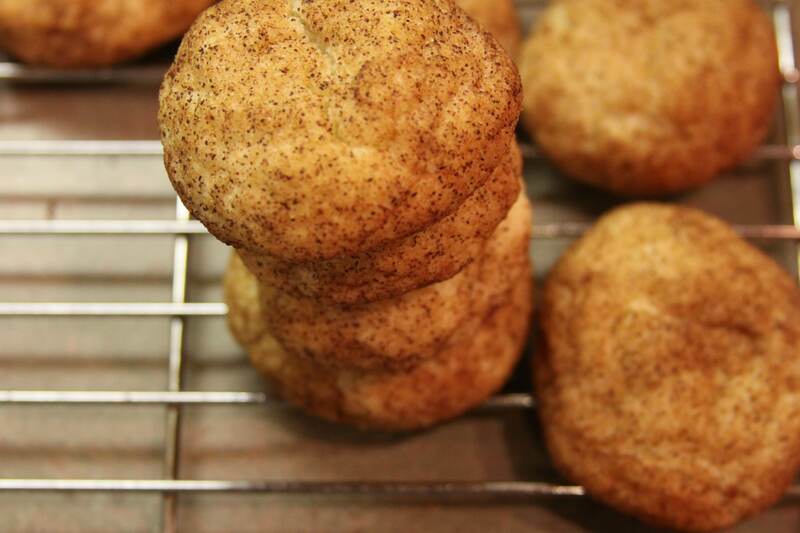 Meanwhile, mix 2 tablespoons sugar and 2 teaspoons cinnamon in a small bowl. Form dough into 1-inch balls (about the size of a little bouncy ball. That’s the only thing I can think of…), place into the sugar/cinnamon mixture, and roll it around until it’s completely coated. Attempt to enjoy them while you cry over the fact Christian Bale is only 6 years younger than your dad…awkward. Mid-week Crisis: Cool story, Skandar. 1. Remember Skandar Keynes? I used to talk about him…ummm…all the time. Luckily I switched over to talking about Joseph Gordon-Levitt and have succeeded in making you all insane because of it. Sorry? Anyway, he turned 21 today. Happy birthday, my dear slightly-unattractive-but-totally-amazing-future-husband. I’m so glad that you’re an awful actor and no one knows about you. That means I can have you all to myself. MUAHHAHAHAHAHAHA. I think I have issues. 2. Last week I went out to lunch with my friend Katie. 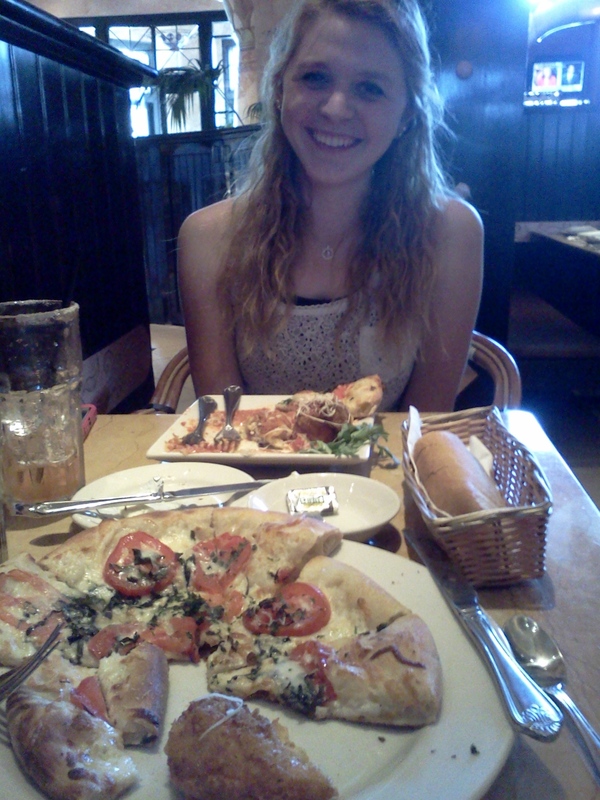 She makes me laugh and we share a mutual love of food. Win. Also, I didn’t eat any of my pizza crusts, and I’m sure the waitress thought I was crazy when she took away my plate with 6 of them. 4. Fringe season 2, disk 2. Coming to a mailbox near you. Also known as my mailbox today. I love Netflix. 5. 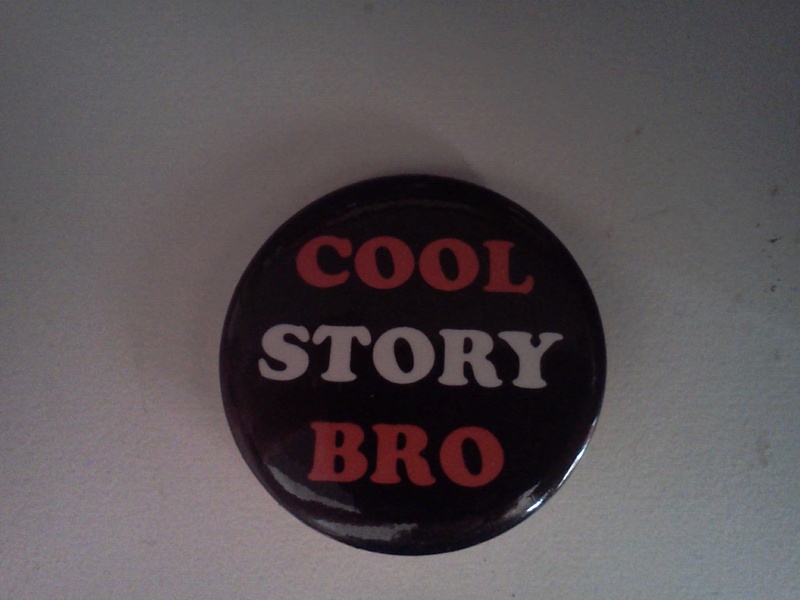 This pin sums up my general you’re-really-annoying-me attitude as of late. I think I need an attitude adjustment. Also, I own this pin, so don’t bother me or it may end up pinned to your face. Fair warning. 6. I’m not sure about you, but the song Call Me Maybe gets stuck in my head all the time. I think that song is actually brainwashing us. That being said, I found a Batman parody of it that is, um, amazing. 7. Whatever you do, do NOT look at How Sweet It Is’ food board on Pinterest. 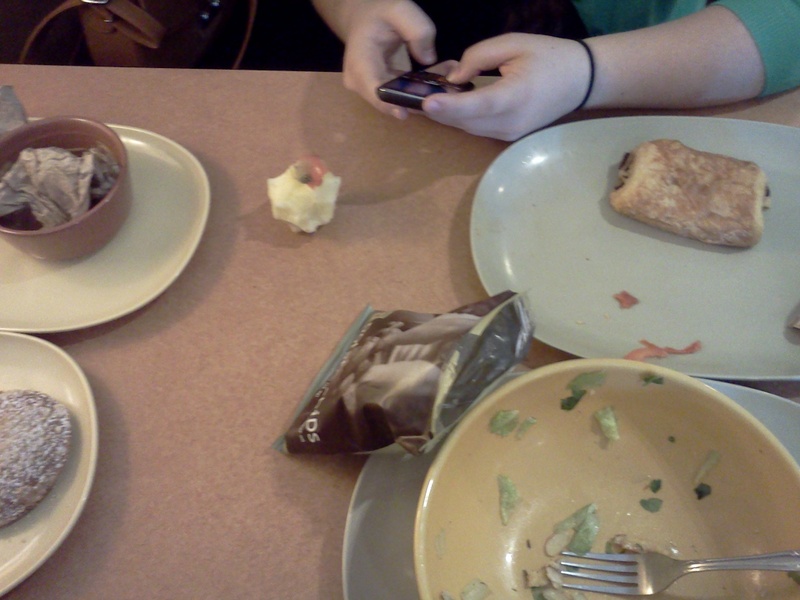 It makes me sad every time I look at it because none of the food is in my belly. I think someone needs to invent a machine that can convert pictures of food into actual food. Yeah, best idea ever. You’re welcome.